Are you feeling frustrated or impatient about something? If things aren't happening as quickly as you'd like them to, today's message is for you. Deck: Energy Oracle by Sandra Anne Taylor, illustrated by Jena DellaGrottaglia. In short, it's time for you to get present and ditch any feelings of impatience or desperation. 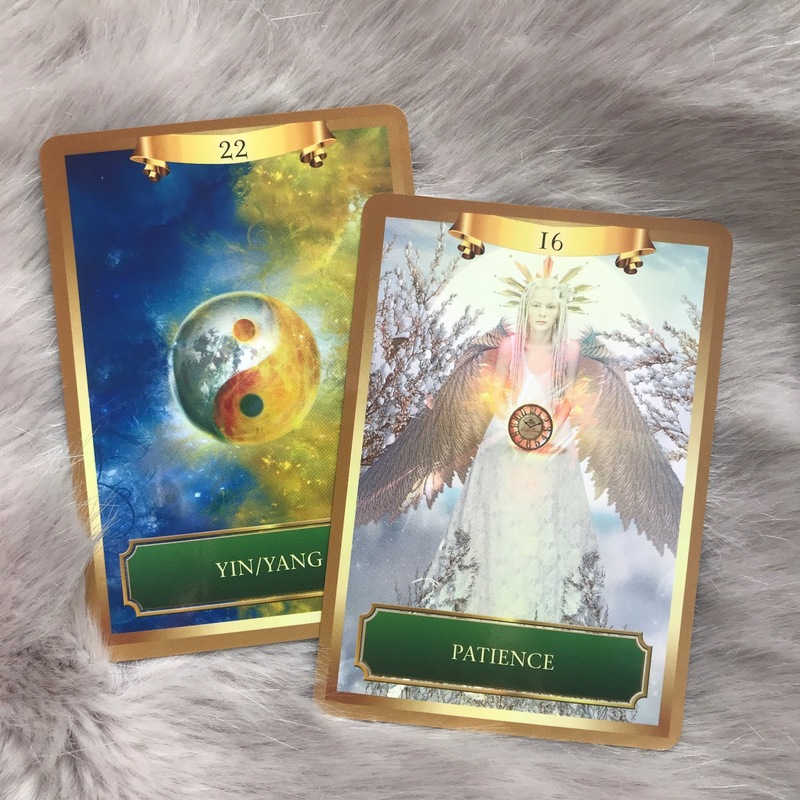 These not only serve to delay that which you desire but they may also be blocking you from receiving further inspiration. Yin energy is open and receptive - it's passive and gentle, and reflected in our current point on the wheel of the year. With Imbolc only a few days ago, there is a definite promise of Spring in the air, but we will have to wait for it to actually arrive. Being impatient or worrying about it will, obviously, change nothing. We can only wait. When you are patient and present to what is (ie when you drop any resistance to things as they are) you not only relieve yourself of worry, but you actually create a space for new possibilities to show up - and they might well be more suitable and more amazing than anything you've been expecting! In her book Big Magic, Elizabeth Gilbert describes how ideas come to us. She says "sometimes - rarely, but magnificently, there comes a day when you're open and relaxed enough to actually receive something. Your defences might slacken, your anxieties might ease, and then magic can slip through. The idea, sensing your openness, will start to do its work on you. It will send the universal physical and emotional signals of inspiration..."
The key is being open and relaxed. That is the essence of Yin. How can you invite Yin energy into your life this week? Where can you let go of your expectations and relax?